Cascade Brewery Co has appointed as its new Head Brewer following on from Max Burslem’s transition to the newly created role of Transformation Manager. 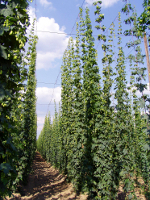 With more than 20 years brewing experience in English breweries in Berkshire and Manchester, Mike started his career in a small brewery working on the development of craft style beers. On his appointment at Cascade, Mike said he is delighted to take on the task of Head Brewer and is already feeling at home in Tasmania. Mike said he was looking forward to working with Cascade’s former Head Brewer Max Burslem and the Cascade team over the coming months to ensure Cascade continues its rich tradition of brewing beers enjoyed by beer fans around Australia. 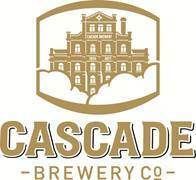 Cascade Brewery Co is Australia’s oldest brewery and is renowned for using Tasmania’s high quality barley and hops together with the pure mountain waters of Mount Wellington to brew its range of acclaimed beers.